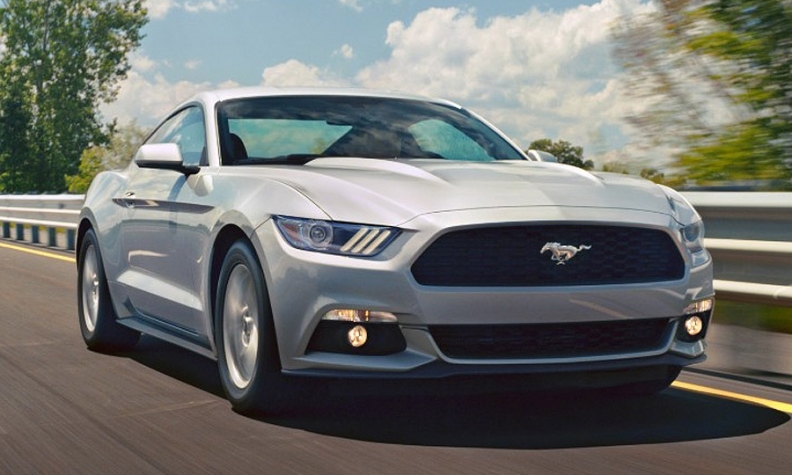 Ford says the drag coefficient on the redesigned 2015 Mustang has improved about 3 percent over the 2005-14 model. Drag coefficient measures the resistance of an object as it moves through air or fluid. The lower the number, the slipperier the vehicle, and the less fuel it burns. The drag coefficient for new vehicles has been dropping fast as designers and aerodynamicists use powerful new computer simulation software. They also continue to use wind tunnels to tweak bumpers, fascias, roofs, doors and mirrors to enable air to flow smoothly over, under and around vehicles. Designers have relentlessly dropped drag coefficients in recent decades. Ford's third-generation Mustang fastback, built from 1979 to 1993, sported a drag coefficient of 0.44. The 2005-14 Mustang fastback's drag coefficient dropped to 0.37. And the redesigned 2015 model is about 3 percent better, according to Ford. The drag coefficient of the current Chevrolet Corvette is a very good 0.29. Mercedes-Benz says the drag coefficient of the CLA sedan is 0.23. Tesla's battery-powered Model S has a drag coefficient of 0.24. Jaguar's XE compact sedan, launching now in Europe, checks in as the slipperiest sedan that company has ever made, at 0.26. The Jag's slippery body helps the diesel version get as much as 62 mpg in the European test cycle.